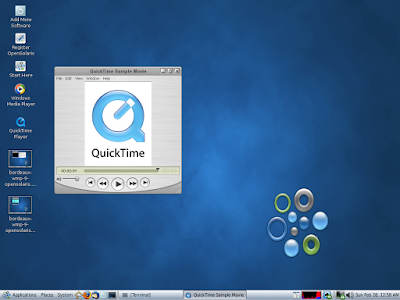 A couple weeks back we released Bordeaux 2.0.0 for Solaris and OpenSolaris and I posted the news about the release in the OpenSolaris forums. Ian ask if I could check and see if VLC ran in Bordeaux, the Windows client. 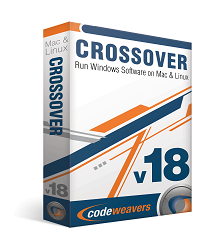 And sure enough it runs extremely well with just a couple dll overrides. 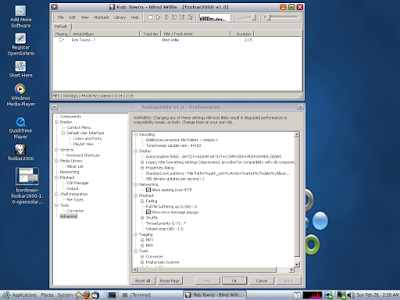 The screenshot below is VLC 1.0.3 running on OpenSolaris 2010.2 build 131 via Bordeaux 2.0.0 for OpenSolaris. 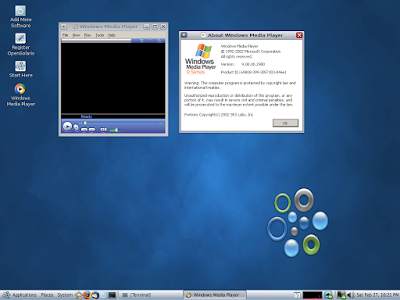 The video is the live 200 kbs feed of CNBC in RealVideo format. 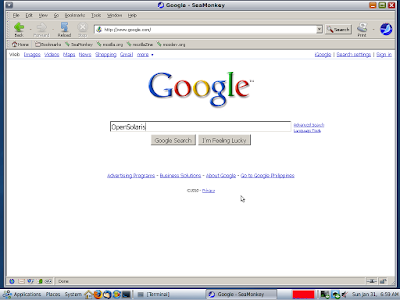 The system load is kind of high because I have OpenSolaris running in Virtual Box. 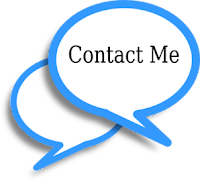 If you have OpenSolaris installed as your primary operating system or on a partition the load is much lower. I have also had some request for additional media players and FireFox via Wine. Bordeaux and the Wine build we provide should run most of the app's that's in the Wine appdb. So if your wondering if your application will run on OpenSolaris just check the Wine application database and see how the app is ranked. 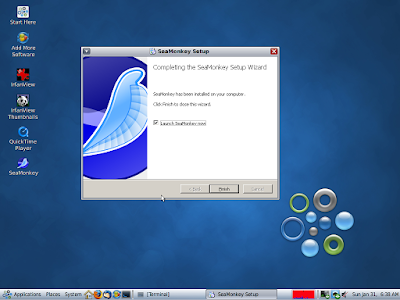 To install a unsupported application or game you will need to put our Wine Build in your path. 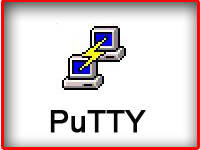 To do this open your favorite terminal and add these lines to your .profile file in your home directory. Now when you enter wine in your terminal it will be found. And add Microsoft redistributable's, dlls, registry changes, and further config Wine. Here is more screenshots of just some of the apps Ive got running as unsupported apps with Bordeaux. 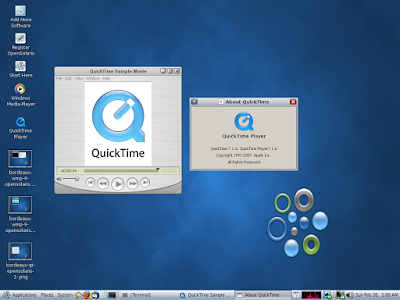 QuickTime Player 7.1.6 on Opensolaris via Bordeaux. 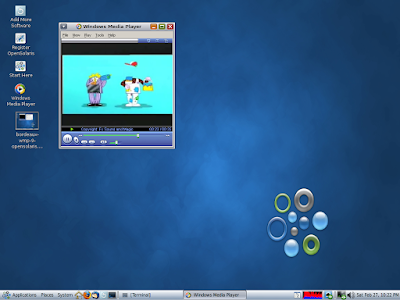 Windows Media Player 9 on Opensolaris via Bordeaux. 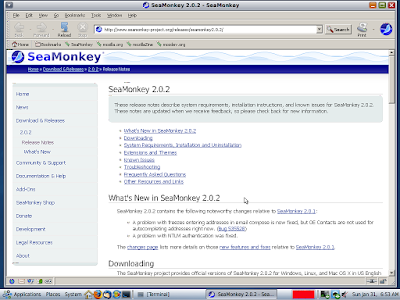 FooBar2000 version 1.0 on Opensolaris via Bordeaux. Emule version 0.49c on Opensolaris via Bordeaux. 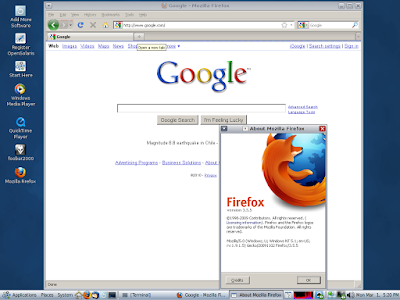 FireFox Windows version 3.5.5 on Opensolaris via Bordeaux. Click on a image for full view.